A raccoon makes its way onto the hot pavement at Hopkins Park on Monday, August 29, 2016 in DeKalb. Animal Control warden Dan Berres, who responded to the capture the animal, stated that he has noticed a recent increase of raccoon sightings in more developed areas. Many of the raccoons seem to be suffering from "distemper", an untreatable disease which has similar symptoms as rabies. 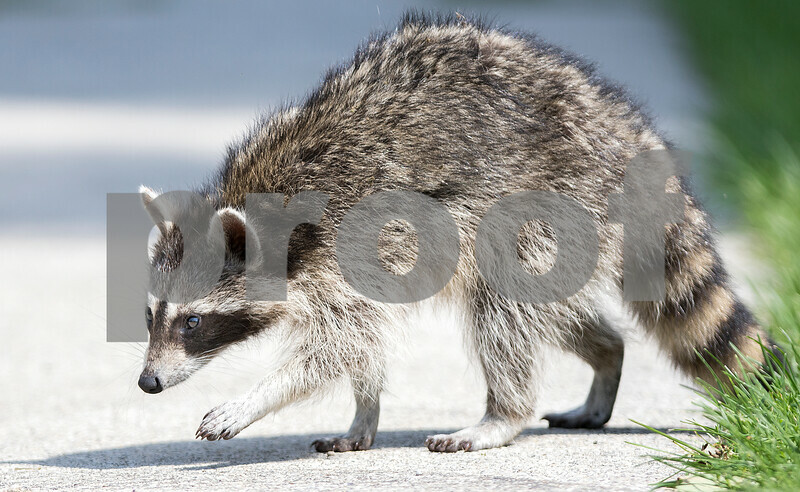 Residents are instructed to call animal control when seeing raccoons in areas where they should not normally be or where they could pose a danger to people. Animals caught by Animal Control are dealt with by being euthanized.